The device we currently know as the "NVIDIA SHIELD" is not the first one to carry the name. That honor goes to the handheld device launched in 2013, later renamed SHIELD Portable. After that came the SHIELD Tablet, and finally the SHIELD Android TV in 2015. It was not the only way to get Android TV, but NVIDIA's box is the only one that had any staying power. Three years on, this device has gotten 20 updates across three major Android versions. I can't think of another Android device that offers so much value after more than three years of use. That's why we're taking another look at the SHIELD—it's changed quite a lot. 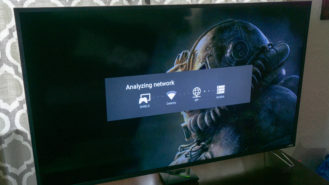 NVIDIA has added integrations with services like Plex and SmartThings, and there's the ever-evolving GeForce Now streaming service. While NVIDIA has launched a revamped, smaller SHIELD, the original hardware gets all the same updates and features. 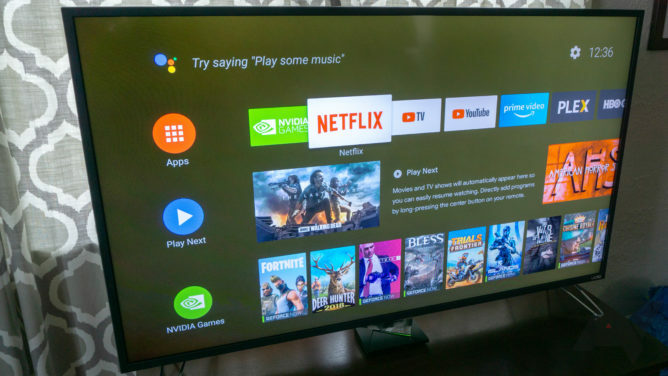 The Android TV implementation looks and works much differently than it did in 2015, not always for the best, though. If you want a powerful Android TV box, there's simply no other choice. 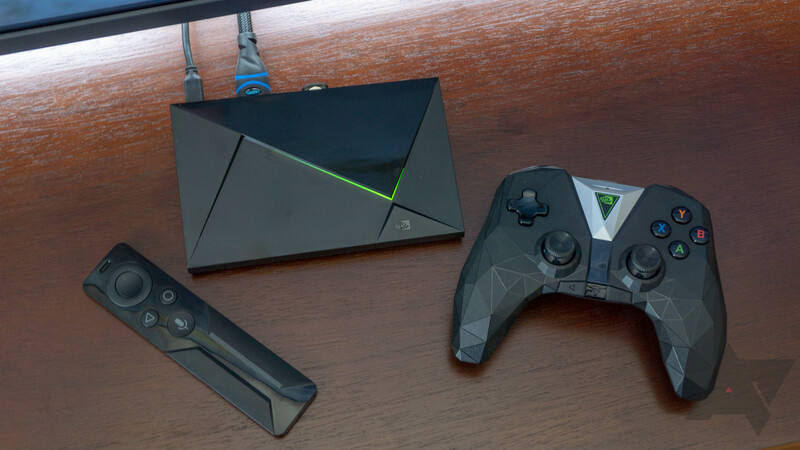 For all intents and purposes, the SHIELD is Android TV, but that's not all it is. Note: For this re-review, I have been using the revamped 2017 model. However, most of this is equally true of the original 2015 version. 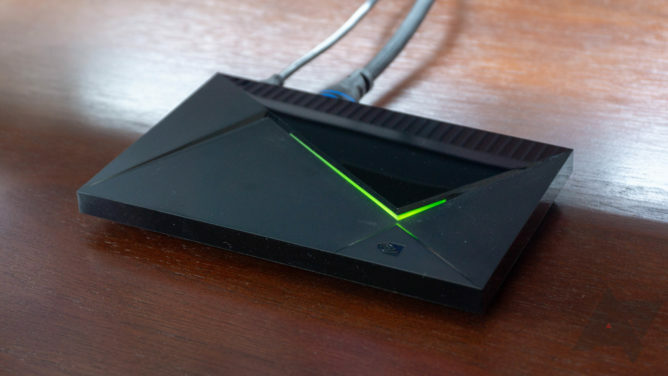 The current iteration of the SHIELD TV is a compact wedge-shaped device about 16 x 10 centimeters. The surface consists of fascets that look like a chunk taken out of a stealth aircraft. Along with the glowing gap that serves as a power LED, the SHIELD is a little on the flashy side. Luckily, it's small enough to be tucked away out of sight (if that's not your aesthetic). The original Shield TV box was substantially larger, making it harder to hide on a component stand or entertainment center. If you put that version in the optional vertical stand, it had a real "monolith" vibe. Again, the revamped hardware is less imposing even standing vertically. My only real concern with the new design is it's so light that a stiff HDMI cable can pull it out of place. Around back, the SHIELD sports an array of ports including power (proprietary), HDMI, Ethernet, and USB 3.0 (x2). The original had a microSD card slot, but NVIDIA dropped that in the refresh. That's a bit of a bummer, but you can still add a USB drive to expand your 16GB of internal storage. I wish NVIDIA included a bit more space, but the only other option is the SHIELD TV Pro with a 500GB hard drive at $300. That's not a good value when USB drives are so cheap, and the Pro uses the large form factor of the original SHIELD. The base model SHIELD comes with the remote control, which has changed from the original release. It uses a replaceable coin cell battery (that should last six months to a year) rather than the rechargeable battery from the old remote. It no longer has a headphone jack for private listening (what does these days?) either. The one notable upgrade: it has an IR blaster to control other devices. It's still Bluetooth, and there's a microphone for voice commands. The buttons and directional pad have good tactile feedback, but I'm not a fan of the touch-sensitive volume control—I constantly adjust it by accident. The remote should have real buttons for volume control. I like the remote, but it does seem to go to sleep somewhat quickly. It can take a second for the first button press to register when it wakes up. You only get the game controller in the more expensive SHIELD Gaming kit, but it's worth the small added cost if you plan to play games. As a piece of hardware, the controller is quite good. The shape is vastly more comfortable than the old wing-shaped controller—it's like a mix of Sony and Xbox controllers when you account for the overall shape and thumbstick position. As for whether it's a good mix, that depends on your personal preference. I wish the d-pad and left stick would switch places, but the buttons and sticks all feel very high-quality. Thankfully, there's still a headphone jack on the controller. I appreciate that NVIDIA is trying to keep the cost of the SHIELD down, but it'd be nice if it came with a few more accessories. You get the console, the power cable, and the remote in the box. With the gaming bundle, you add the controller. There's no HDMI cable or stand. The latter is an extra $20 even though almost every promo shot of the Shield shows it in the stand. 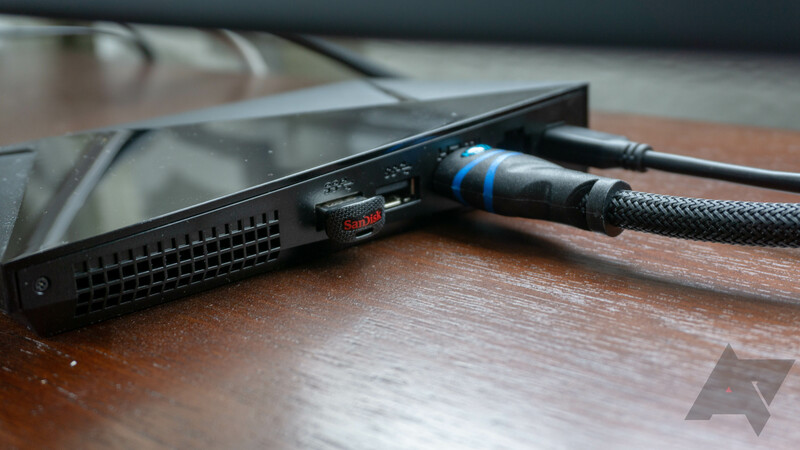 When the SHIELD launched, it was one of several promising Android TV boxes, and now it's the only promising Android TV box. Those other devices have all fallen by the wayside, but NVIDIA keeps updating and adding new features. Every SHIELD box runs the Oreo build of Android TV, and the feature set goes far beyond Google's stock TV experience. NVIDIA rolled out its 20th software update for the SHIELD a few months ago (the 7.1 experience upgrade). This is an unprecedented level of support for a piece of hardware that some people bought three and a half years ago. 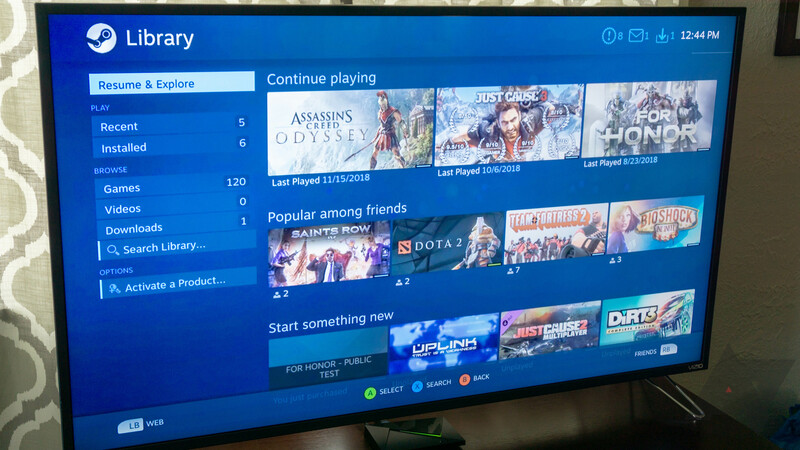 Among those updates were some excellent custom features that improve on Android TV. For example, there's Plex integration. I don't just mean you can run the Plex app—any Android device can do that. No, the SHIELD can run a Plex server to stream your content to other devices. It works even when the SHIELD is asleep, and the Tegra X1 can transcode like a champ. The SHIELD is, bar none, the best Plex server I've ever used. If you've got a SHIELD, you also have a smart home hub waiting to be unleashed. The $40 SmartThings USB adapter lets you control compatible devices via the SHIELD. That means they're also plugged into Assistant because NVIDIA included that in the updates as well. In addition to the standard Assistant features, the SHIELD supports turning the SHIELD on and off, opening apps, controlling the volume, and more. 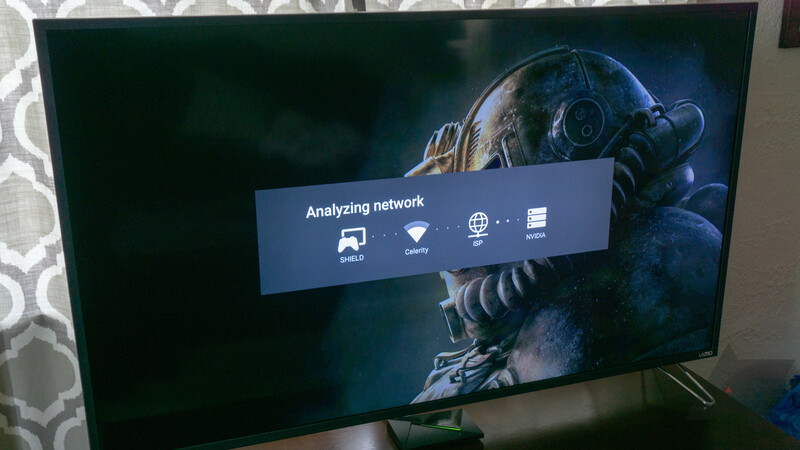 NVIDIA doesn't make any substantial changes to the Android TV UI, so this aspect of the SHIELD is the same on all devices. Google changed the interface around in Oreo, and I have found it a little cumbersome to use. The app drawer location is awkward, and the additional app shortcuts to the left of the channel previews are of little use. The channels also rarely show me anything of value. I probably only launch 10-12 apps on the SHIELD regularly, so adding them to the favorite list is an acceptable solution. Most of my SHIELD usage consists of watching video, and this is where the device shines. 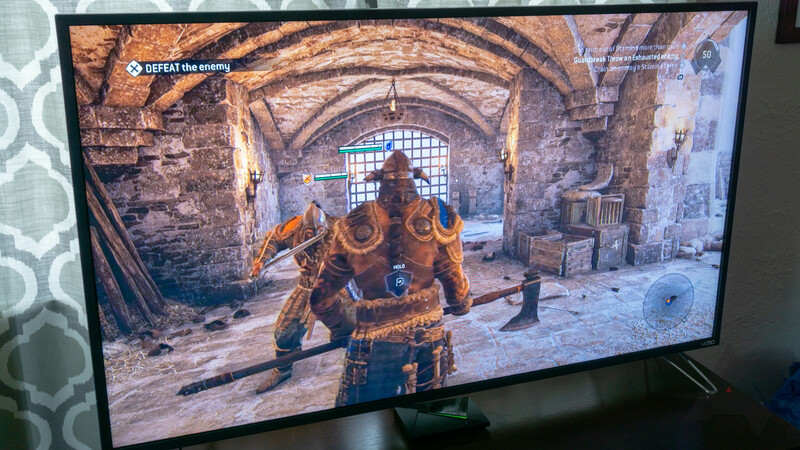 It has supported 4K since launch, and NVIDIA added HDR in an update. While there are cheaper ways to get streaming video on your TV, the options for 4K HDR are more limited. You could grab a Chromecast Ultra, for example, but that's $70. For a little more money, the SHIELD offers additional features. The catch being you need to actually care about those extra features to justify the expense. The principal difference between the SHIELD and other streaming boxes is the gaming tie-in. NVIDIA works with publishers to get native games like Doom and Tomb Raider ported to the SHIELD, which is impressive from a technical standpoint. And then there's GeForce Now, which has been kicked back to beta status after a disappointing launch in 2015. NVIDIA was looking to charge $8 per month to stream a library of older games, but you still had to buy newer ones for use on the service. Well, GeForce Now is free again, and it connects to Steam and Uplay. 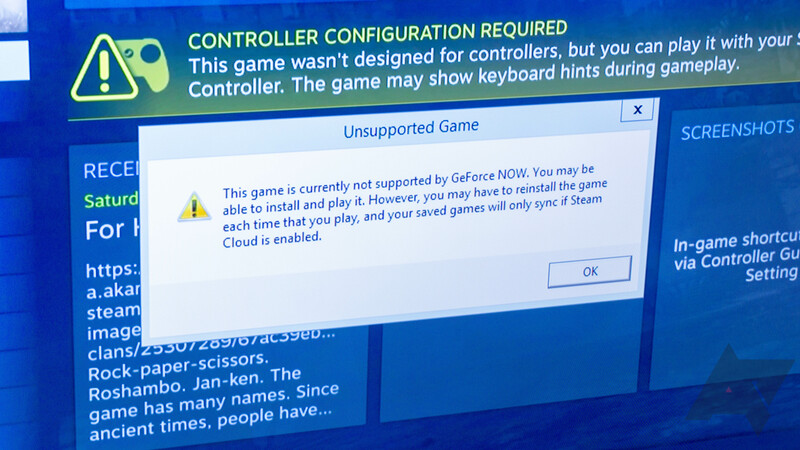 Some games are pre-loaded in the cloud, but others you have to install. 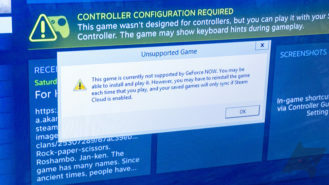 Gameplay sessions are currently limited to four hours, and you might need to re-install games each session. Like before, GeForce Now games are rendered on an NVIDIA server and streamed to your screen. Having used GeForce Now and Google's Project Stream, I can say NVIDIA still has a big lead. The image is sharper, and there's virtually no lag compared to Google's experimental offering. I will admit I don't use GeForce Now often because I have a gaming PC, but it's not really a product for people like me. It might not be for anyone, honestly. GeForce Now is neat, but I don't know if there's a business model here. Real game consoles like the Xbox One S constantly hover around $200 on sale, and you don't have to worry about a finicky internet connection with data caps. It's going to be tough convincing people to pay for whatever GeForce Now becomes, even if it's cool technology. Yes, if you need a powerful, well-supported streaming box. If your main goal is to stream some Netflix to your TV, you don't need the SHIELD; just get a $30 Chromecast and save yourself some money. If you're looking at getting the Chromecast Ultra, you should at least consider the SHIELD. It's more expensive, but you get a few more streaming options (eg. Prime Video), a real remote, a Plex server, game streaming, and more. If you bought a SHIELD three years ago, you've gotten a lot of value for your money. I've been delighted with the support NVIDIA provided for the SHIELD over the years. It's gone through multiple major Android revs, received HDR support, Assistant, and the updates just keep coming. The addition of Plex server capabilities has been particularly great for me. I have a NAS box mounted to the SHIELD with video content that I can stream anyplace, anytime. The SHIELD is a great media streamer—the 4K HDR output looks incredible, and controlling playback with a remote is preferable to using a phone. As a gaming device, the SHIELD is surprisingly capable. GeForce Now with Steam integration is intriguing, but I don't know if it's something I'd pay to use. I do like the direction NVIDIA is going compared to the old subscription model, though. If you bought a SHIELD three years ago, you've gotten a lot of value for your money. It's still worth buying the SHIELD now if you need what it offers. There's no better way to experience Android TV. I know that might not sound like high praise with the sluggish growth of Google's TV platform. Yet, Android TV probably wouldn't exist anymore without the SHIELD. 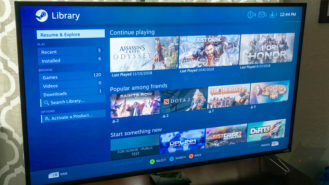 You need a powerful streaming box with a remote and like the idea of playing games on the same device. You just need something to play Netflix on your TV.